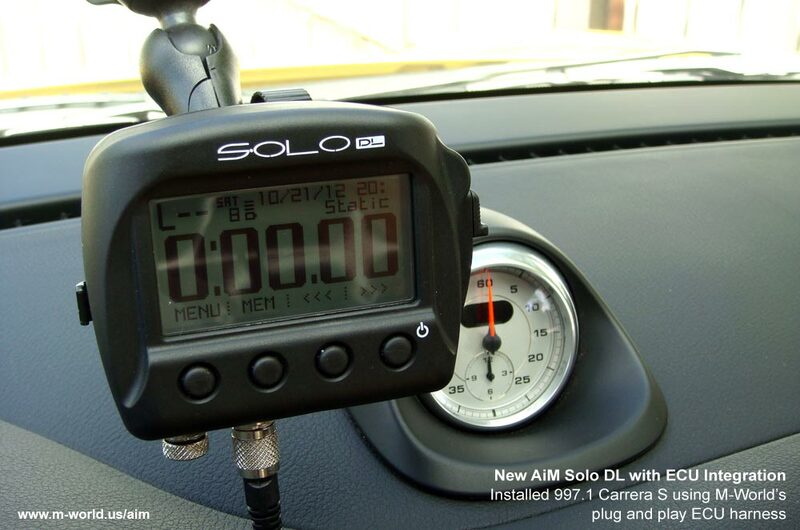 AiM Solo is a new generation of GPS lap timer & data logger for cars and motorcycles. 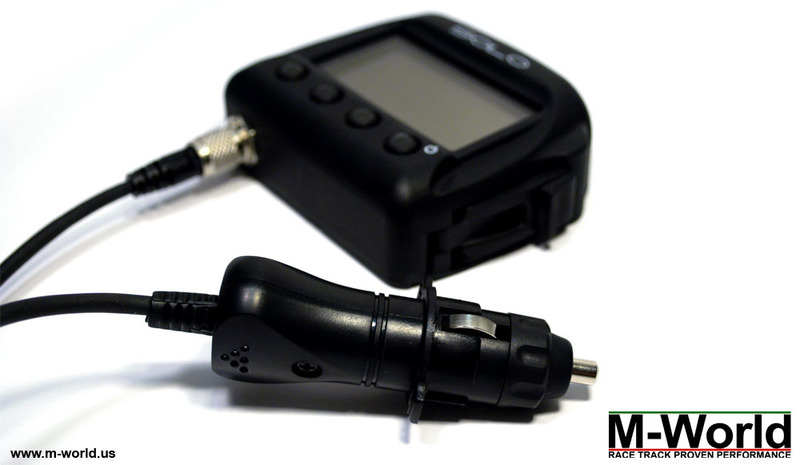 It is extremely easy to use, small in packaging, but as powerful as professional devices. 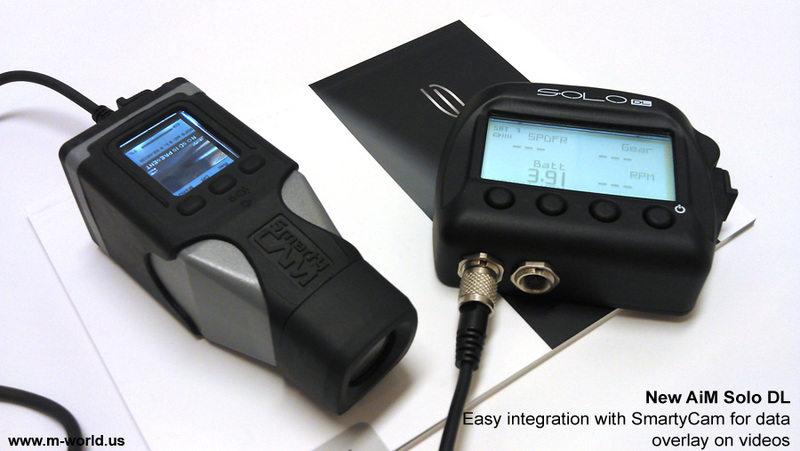 AiM Solo is a must-have learning tool for track drivers and bikers of all levels. For the beginner it sets a baseline for objective measurements of your improvements. 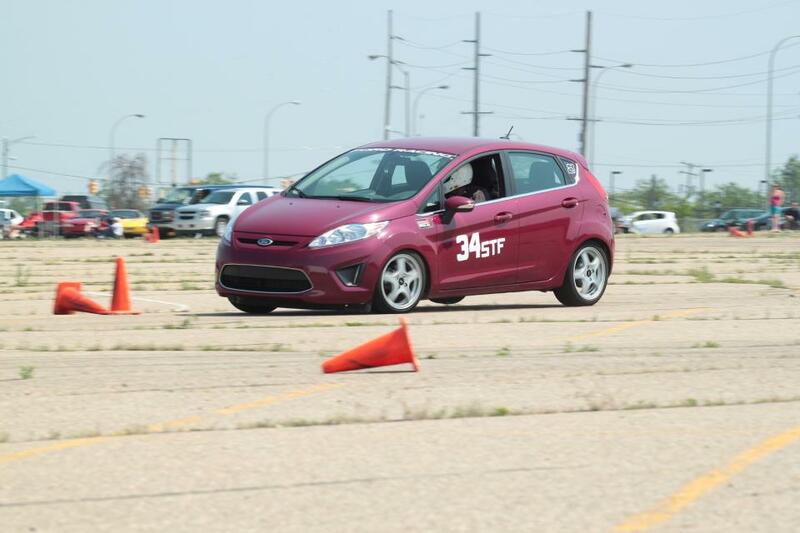 For the intermediate driver it helps you practice consistency. 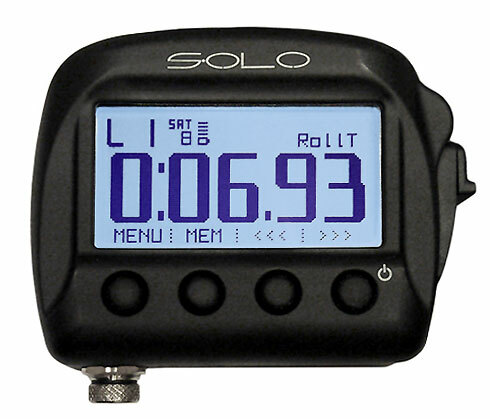 And for the advanced/pro drivers it gives you the 0.1 seconds needed to beat the competition. Free suction cup mount. Fast & free 3-day shipping. 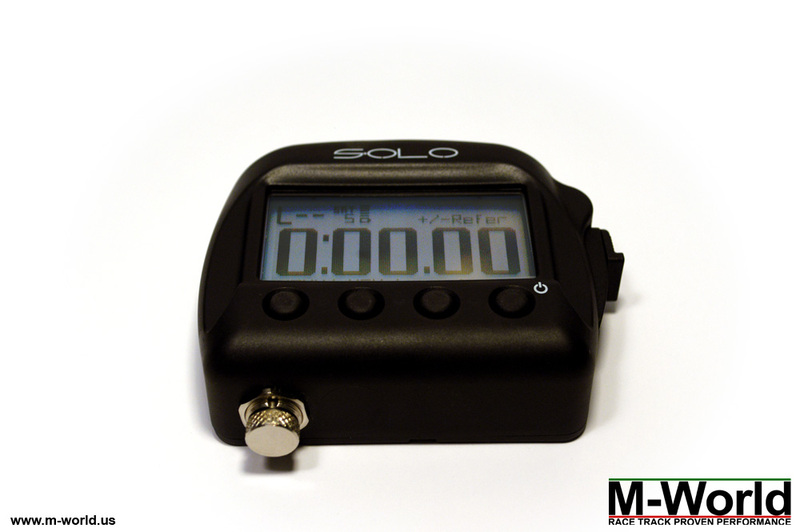 Powered by an internal rechargeable battery, AiM Solo is designed to be used standalone, without any external wires or sensors. 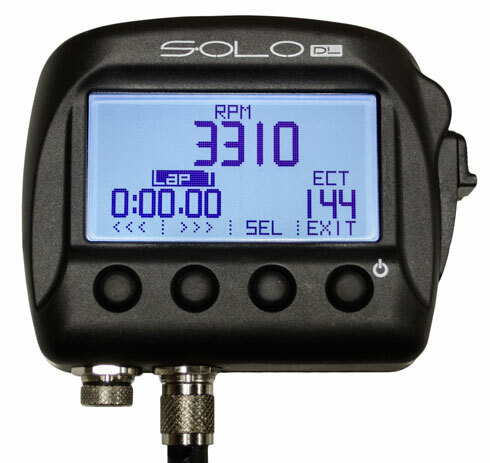 When you arrive at a race track, simply switch it on and AiM Solo will recognize the race track automatically and start recording lap times and logging racing data. 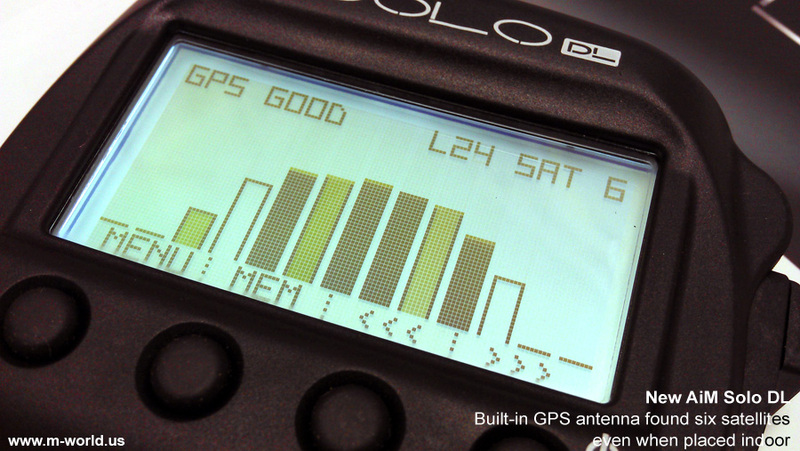 AiM Solo's internal GPS antenna is capable of 1/100 of a second precision. 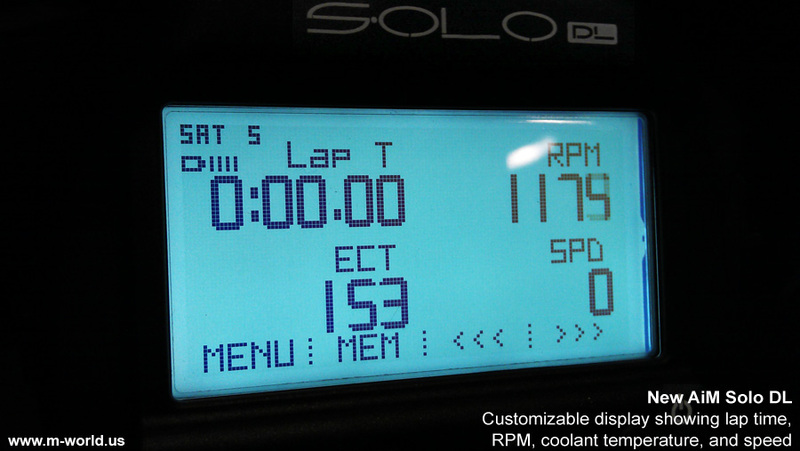 Moreover, GPS predictive lap timing calculates and displays the difference between your current lap and your previous best lap in real time - a perfect tool for time trial and time attack drivers! 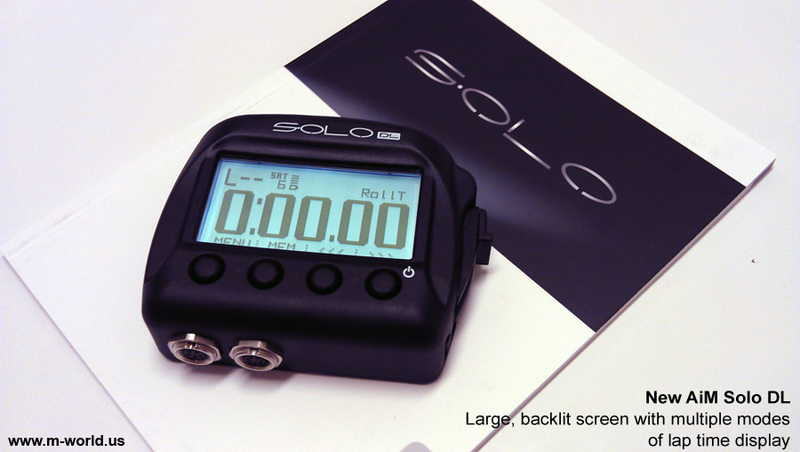 AiM Solo is extremely durable: heat resistant up to 170 deg. F., totally protected against dust, and water proof to 3.28 feet of water. 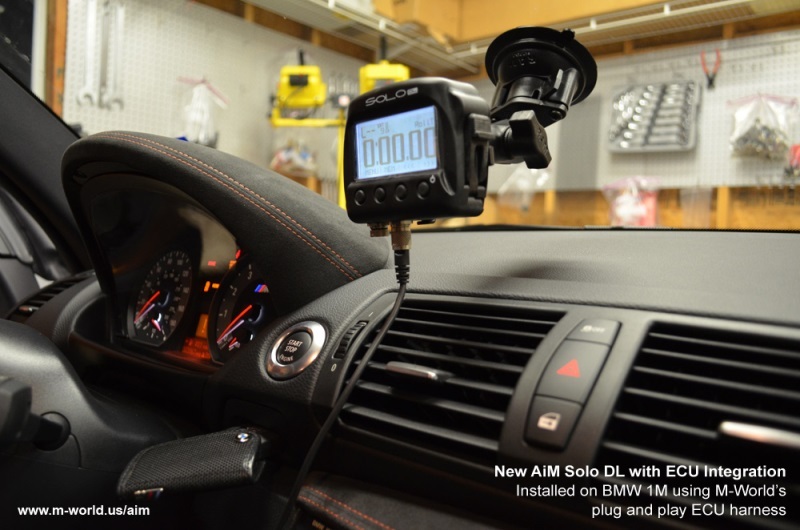 So whether you race a closed-roof sports car or a motorcycle, AiM Solo will work rain or shine. Seat-of-the-pants can't get you any faster? 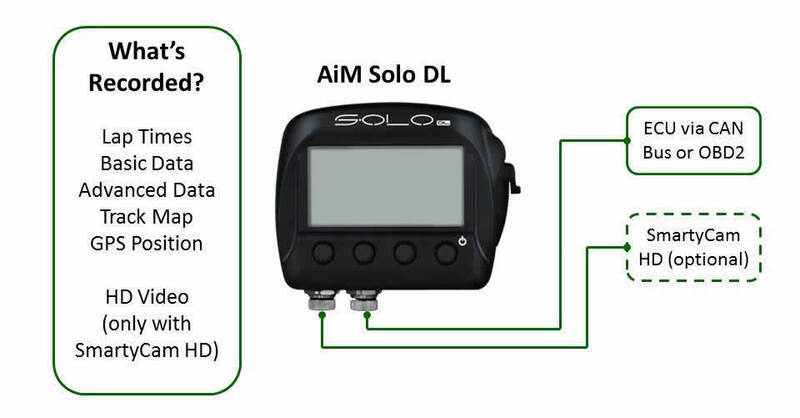 AiM Solo is a data logger which records racing data such as speed, g-forces, lap times, and track position in real-time. 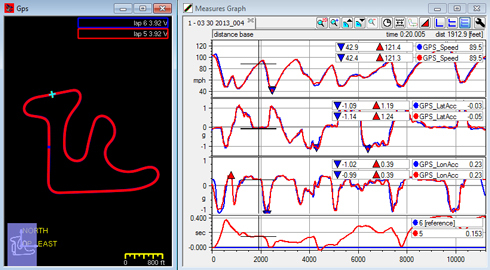 Data can then be exported into Race Studio 2 for post-race analysis. Don't worry if you've never played with data before. Below is a document to get you started. Looking to log advanced data? Free suction cup mount. Fast & free shipping. 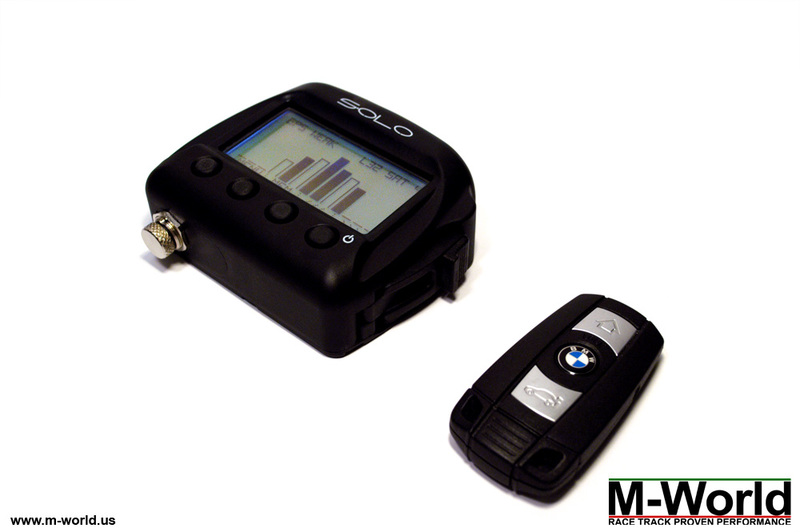 Solo DL will plug directly into your car's OBD2 service port for basic data (up to 9 channels for most cars). 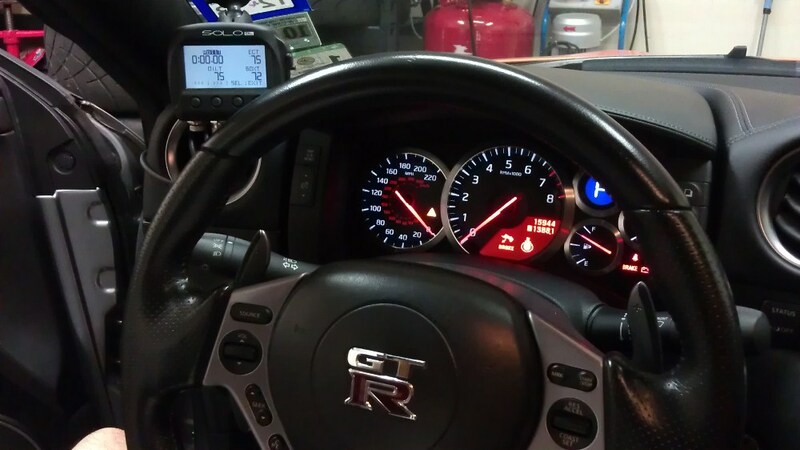 On some cars, such as the Nissan GT-R and Porsche 911 (997.2 and 991 generation), proprietary protocols are available from AiM, allowing for more channels to be read via OBD2. 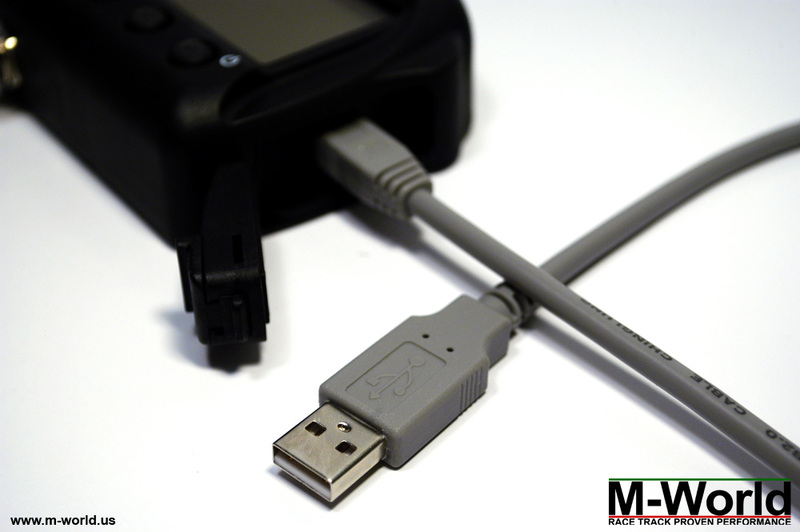 In terms of installation, you will simply plug the supplied OBD2 cable into your car's OBD2 port, and Solo DL will automatically start reading and recording data. 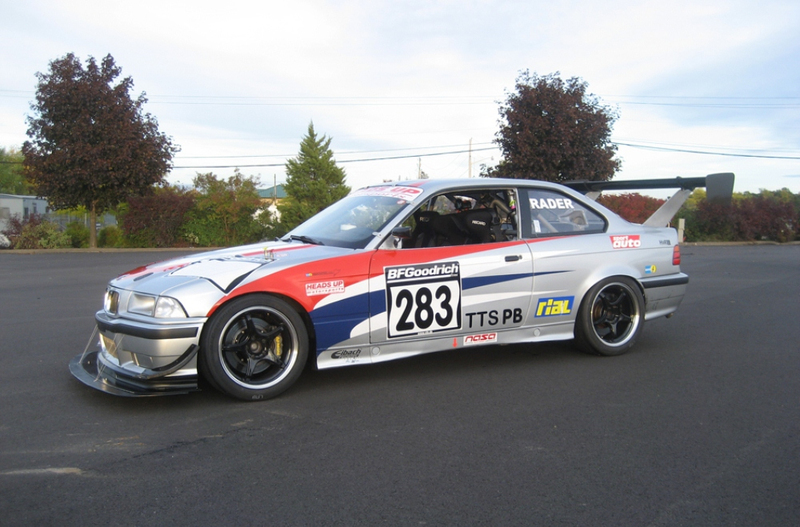 Please check the tables below and AiM's ECU Compatibility page for supported models. 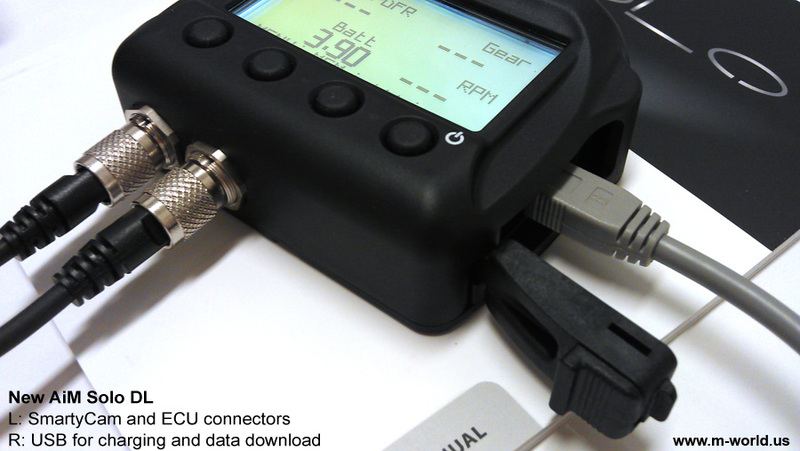 A Direct ECU Connection is capable of receiving up to several-dozen channels of data from the ECU via CAN bus. 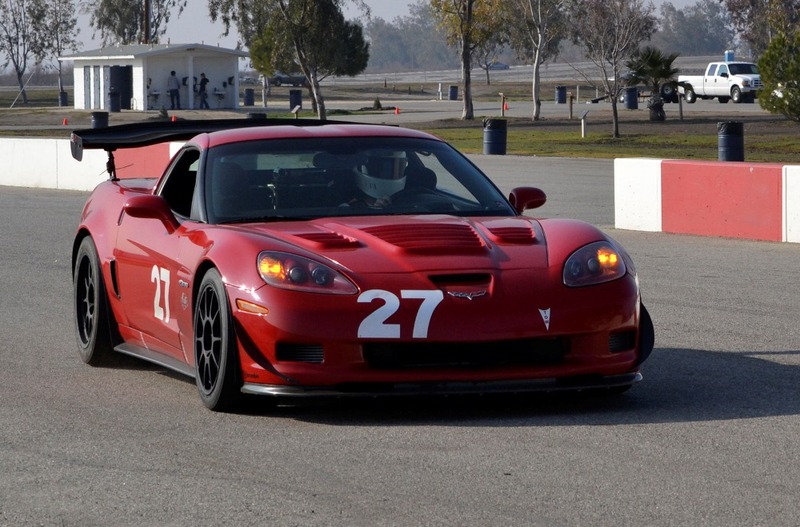 These channels include wheel speeds, brake pressures, RPM, gas pedal position, steering wheel angle, oil & water temperatures, ambient temperature plus more. 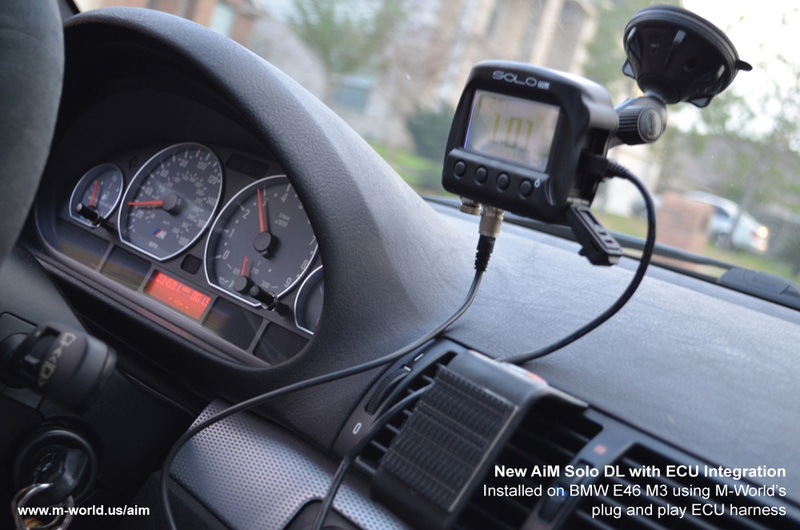 Plug-and-Play Harnesses for Direct ECU Connection are available for select cars and motorcycles. Please see detailed information in tables below. 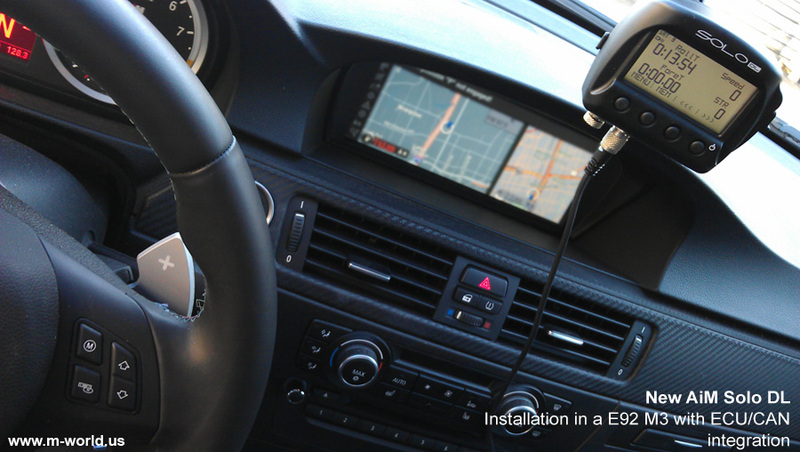 M-World offers exclusive Plug-and-Play Harneses for Direct ECU Connection for Porsche and BMW ECUs, with absolutely no cutting or splicing. Each kit includes step-by-step installation instructions. 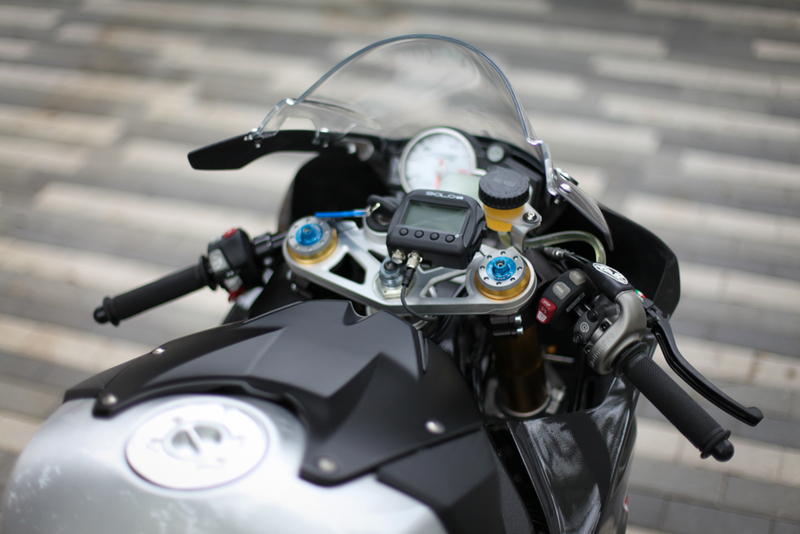 Plug-and-Play Kits (harness + mount) for Direct ECU Connection are also available for the above mentioned bikes, making installation a breeze. 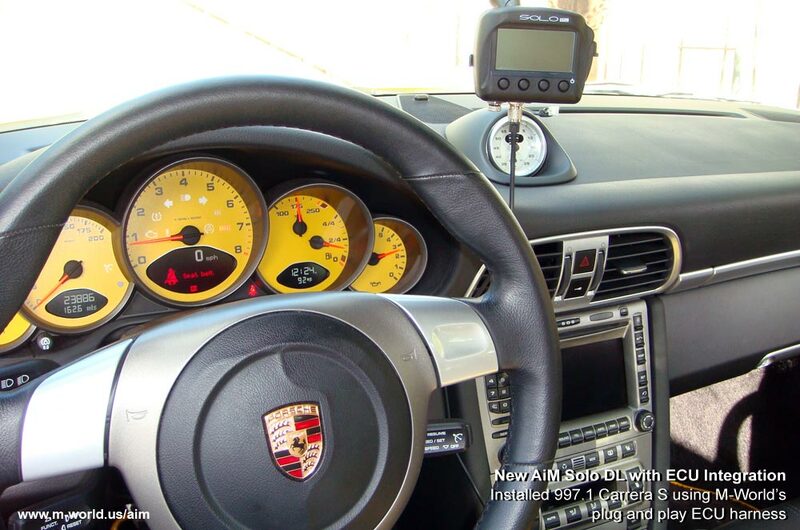 2008+ 997.2 Carrera Models 13 22 PnP OBD2 While a Direct ECU connection offers more channels, PnP OBD2 already contains the most important channels for data analysis - speed, throttle, brake pressure, steering. Other channels are nice to have but not important. 13 22 PnP OBD2 While a Direct ECU connection offers more channels, PnP OBD2 already contains the most important channels for data analysis - speed, throttle, brake pressure, steering. Other channels are nice to have but not important. 2012+ 991.1 911 All Models 13 22 PnP OBD2 While a Direct ECU connection offers more channels, PnP OBD2 already contains the most important channels for data analysis - speed, throttle, brake pressure, steering. Other channels are nice to have but not important. 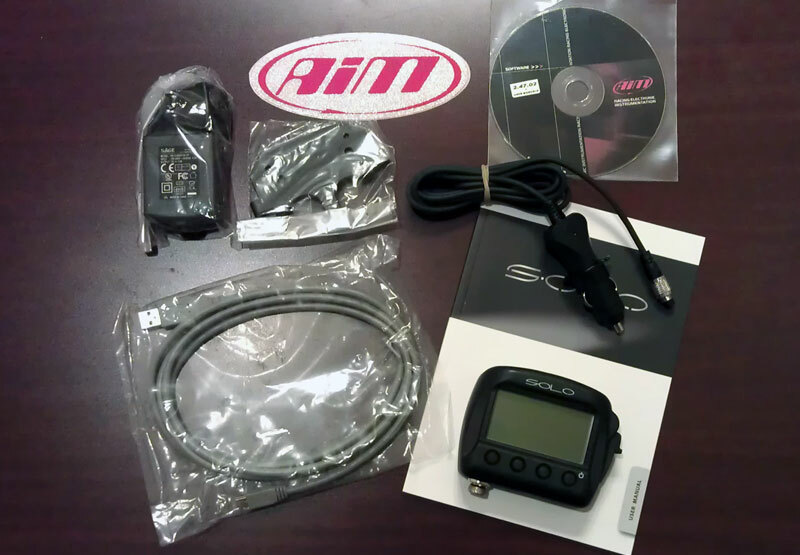 2009+ 987.2 Boxster S / Cayman S/R 13 22 PnP OBD2 While a Direct ECU connection offers more channels, PnP OBD2 already contains the most important channels for data analysis - speed, throttle, brake pressure, steering. Other channels are nice to have but not important. 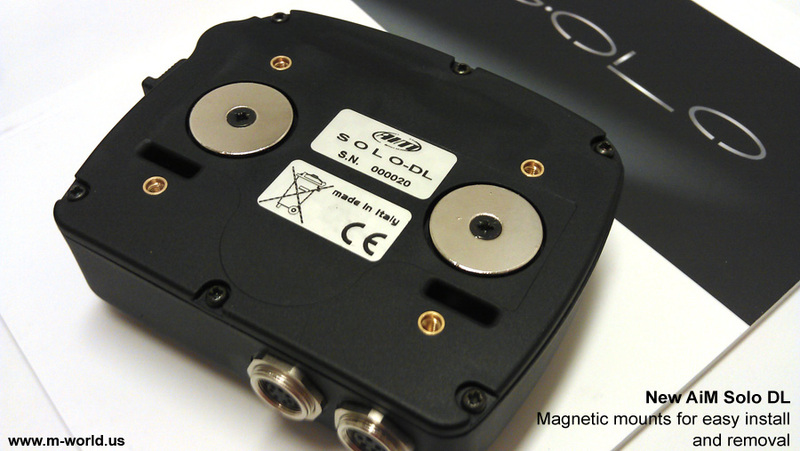 PnP Direct ECU (manual gearbox) PnP OBD2 is recommended for cars with PDK. PnP Direct ECU is recommended for cars with manual gear box in order to log data for brake pressure and individual wheel speeds. 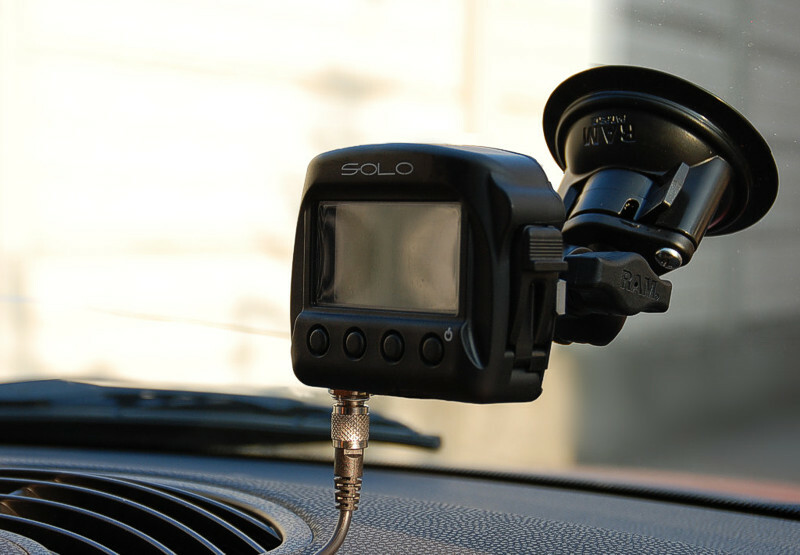 Solo DL readily integrates with SmartyCam HD to create HD videos with advanced data visualization on the fly. Absolutely no post-processing needed! Operating temp -4 to 140 deg. F.
Fast & free 3-day shipping. Free mount.